In Baz Luhrmann’s 2008 film Australia, Lady Sarah Ashley asserts: ‘Just because it is, doesn’t mean it should be.’ It’s a line that perfectly illustrates the flexible nature of identity as a construct, formed by individuals and communities to meet the daily demands of their political, economic, social and cultural survival. It also hints at the ways the formation, standardisation and circulation of identity may impact on how people relate to each other when they consider themselves as belonging within and outside of an identity, or an imagined ‘site’. When news got out that ‘Yi-Fen Chou’, whose poem ‘The Bees, the Flowers, Jesus, Ancient Tigers, Poseidon, Adam and Eve’ was published in The Best American Poetry 2015, is actually Michael Derrick Hudson, a universal cry of outrage erupted. Not only was Hudson accused of ‘cultural inappropriation’, ‘employing yellowface’ and ‘colonial theft’, but Sherman Alexie, a poet of Native American ancestry and the guest editor who included Hudson’s poem in the anthology even after learning his true identity, also condemned the act as ‘an injustice against poets of colour, and against Chinese and Asian poets in particular’. Worse, now that ‘Yi-Fen Chou’ turned out to be the name of a real woman of Chinese ancestry who had studied in the same high school as Hudson, his honesty about making up the pseudonym is seriously in doubt. Chinese names are typically unique, and most people do not have the same fist names, unlike many American names… The combination of characters generally means something to the family. In this instance, Yi-Fen (two separate characters) is unique to our family and given to my sister by our paternal grandfather.’ The way Hudson spelled the pen name, with the hyphen between the two parts of the first name, is [also] uncommon to most current spellings in Chinese names. What Chou describes here is a common practice employed by people of Chinese ancestry to define and augment their identity. In Chinese, as well as other ethnic and cultural communities around the world, such a process of sense-making is typically prolonged and determined, particularly when community members feel the need to differentiate themselves from others. In any society, this applies to both dominant and minority groups. When boundaries of the imagined ‘site’ that is an ethnic or cultural identity are deliberately blurred, it is natural that those who have assigned themselves within the ‘site’ feel violated, a reaction that is as reasonable as that of ordinary citizens when the geopolitical borders of their country are breached. This is despite the fact that identity is fluid and ever-changing, depending on the individual and collective circumstances under which a person feels the need to assert and defend it, as shown in Chou’s decision to use her English name ‘Ellen’ and her title as ‘communications director with the US Department of Defence’s Office of the Assistant Secretary of Defence for Acquisition’ when contacting the media. More importantly, the whole Best American Poetry controversy calls to attention some of the long-existing assumptions about certain ethnicities and cultures. Alexie’s statement clearly explains his intention: to ‘encourage debate and celebrate imagination’, and scrutinise the 2015 anthology’s aesthetic range, cultural and racial representation, gender equality and nepotism. 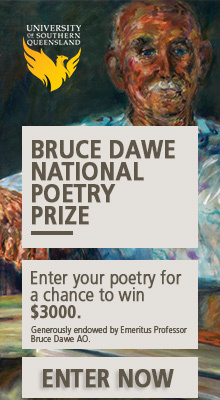 It is a goal well achieved: among the 75 poets collected in Best American Poetry 2015, approximately 60 per cent are female and 40 per cent are people of colour; 15 per cent of the poems chosen were first published on the Internet. So I went back and reread the poem to figure out exactly how I had been fooled and to consider my potential actions and reactions. And I realized that I hadn’t been fooled by anything obvious. I’d been drawn to the poem because of its long list title…and, yes, because of the poet’s Chinese name. Of course, I am no expert on Chinese names so I’d only assumed the name was Chinese. As part of my mission to pay more attention to underrepresented poets and to writers I’d never read, I gave this particular poem a close reading. And I found it to be a compelling work. In rereading the poem, I still found it to be compelling. And most important, it didn’t contain any overt or covert Chinese influences or identity. I hadn’t been fooled by its ‘Chinese-ness’ because it contained nothing that I recognized as being inherently Chinese or Asian. There could very well be allusions to Chinese culture that I don’t see. But there was nothing in Yi-Fen Chou’s public biography about actually being Chinese. In fact, by referencing Adam and Eve, Poseidon, the Roman Coliseum, and Jesus, I’d argue that the poem is inherently obsessed with European culture. When I first read it, I’d briefly wondered about the life story of a Chinese American poet who would be compelled to write a poem with such overt and affectionate European classical and Christian imagery, and I marveled at how interesting many of us are in our cross-cultural lives, and then I tossed the poem on the ‘maybe’ pile that eventually became a ‘yes’ pile. I did exactly what that pseudonym-user feared other editors had done to him in the past: I paid more initial attention to his poem because of my perception and misperception of the poet’s identity. Bluntly stated, I was more amenable to the poem because I thought the author was Chinese American. [The Best American Poetry controversy] does raise many issues, such as what is considered politically safe to publish and what is not – what ‘kinds’ of minority writers are welcomed and who aren’t. And, of course, what actually defines ethnicity at all, and how it’s fetishized in our society. Because, once something – especially a cultural identity – becomes fetishized, it’s not real anymore. It’s just a stereotype that doesn’t actually speak to the issues of the day, which doesn’t help anyone. And it’s lazy as writers to perpetuate stereotypes just for public success. While the author of this article has every right to denounce stereotypes, it should be kept in mind that stereotypes are people’s long-held and oversimplified perceptions and misperceptions about each other even after they have recognised the diverse and myriad facts behind them. In this sense, identity, be it voluntarily chosen or forcefully assigned, is a stereotype – an intellectual, emotional and psychological construct that is deliberately established and continuously standardised and circulated for the purpose of distinguishing one from another. Identity is something that is flexible and always changing but holds a bounding/refraining power over individuals and communities in the same way that geo-political borders do. In short, identity is an imagined ‘site’. Just because it should be real, doesn’t mean it is. Christine Sun is a bilingual writer, translator, journalist and independent scholar.